Confused by the huge variety of brush shapes and bristle types? 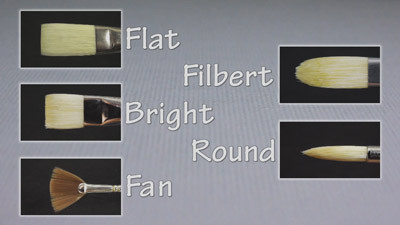 In this video I take a look at Oil Painting Brushes in detail. The video is particularly aimed at the landscape oil painter but the information is useful for any artist who wants to know more about their artists’ brushes. I show you all the features, what they are made of, explain the differences in shape and size and tell you which ones to use for what purpose. Hard bristles or soft bristles? Subscribe to my YouTube channel for automatic notification of when new videos are published.